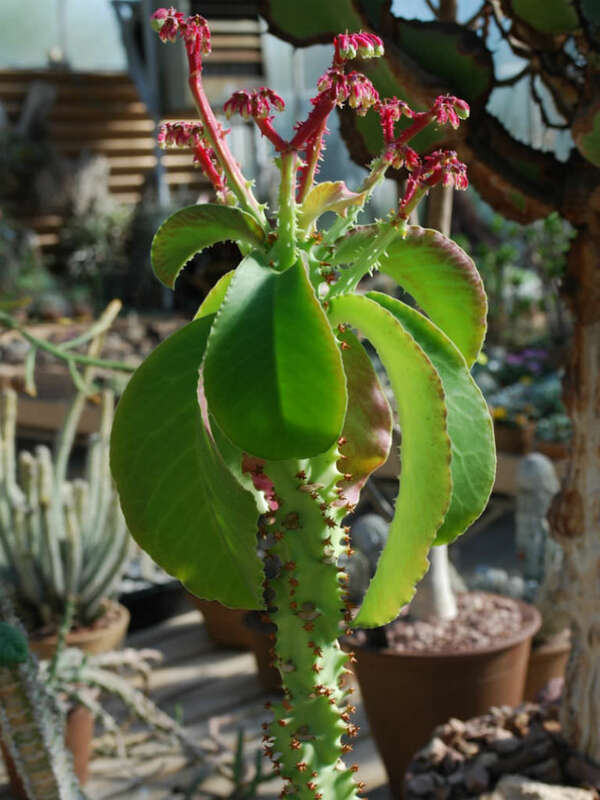 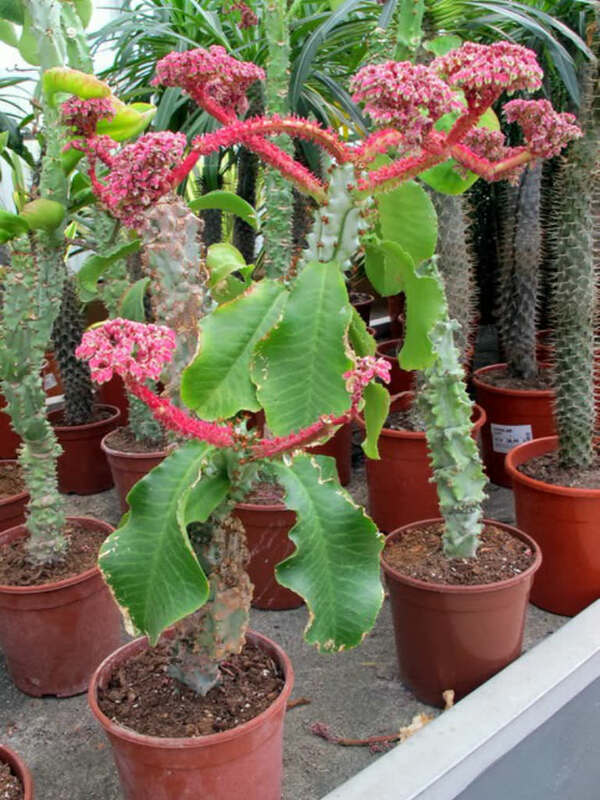 Euphorbia neoarborescens is more of a shrub than a tree with up to 6.6 feet (2 m) tall stem. 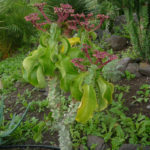 The deciduous leaves are large, light green and oval. 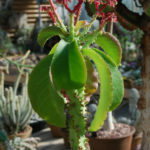 The underside of young leaves is bright red, turning greenish on maturing. 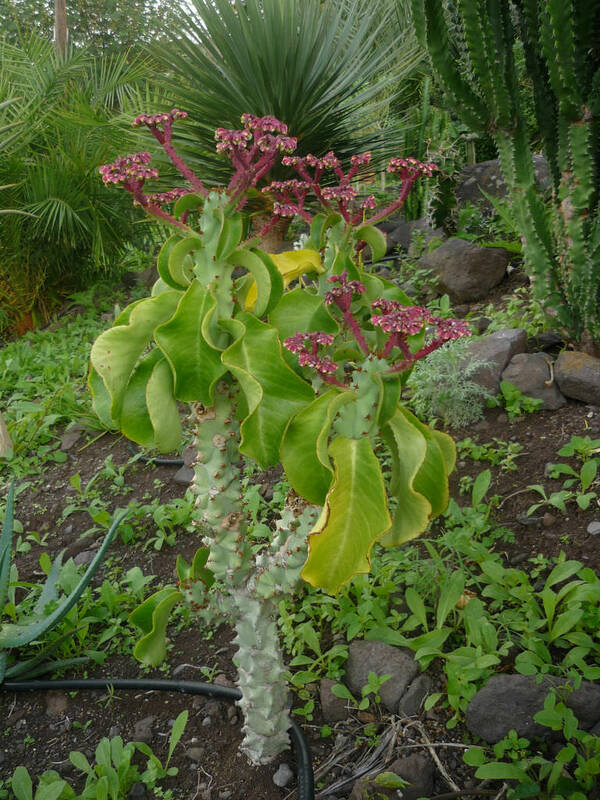 The small flowers are white, pink or greenish and appear in dense clusters at the end of flower stems. 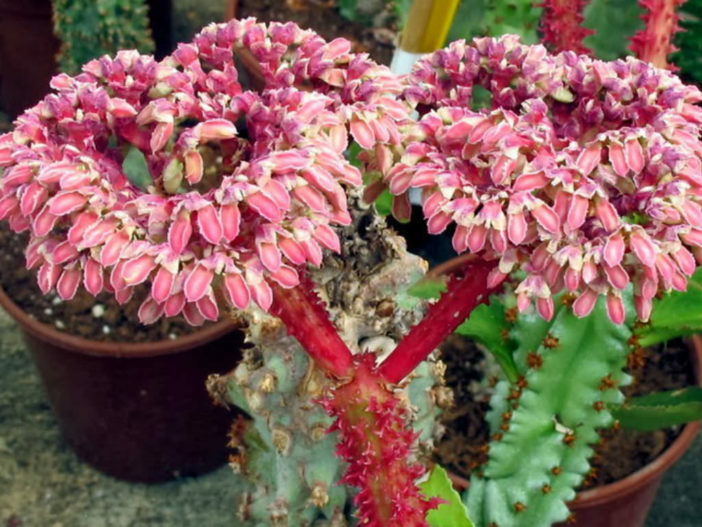 Euphorbia neoarborescens is endemic to Tanzania. 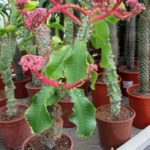 Next Article Why and How do Succulents Change Color?